Does Second Hand Marijuana Smoke Show Up On A Drug Test? A commenter asked a great question on one of our older posts. 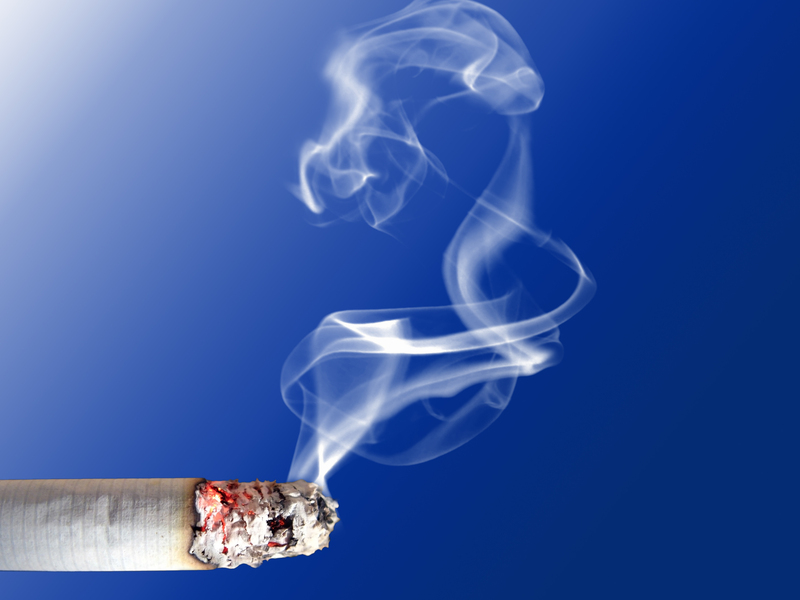 That question was, does second hand smoke affect the result of a drug test? It wouldn’t be fair if it did, of course. As the commenter points out, (medical) marijuana is legal in some states, and if you are not smoking it, you should not be punished for having been around second hand smoke. Does second hand marijuana smoke affect our drug tests? Even at the confirmatory GC/MS lab urine drug test level of 15 ng/ml, you would still not test positive for marijuana due to second hand smoke. The cutoff level for the saliva drug test is 100 ng/ml (so again, second hand smoke would not produce a positive). When it comes to hair, the manner in which the lab analyzes your sample makes external contamination impossible. Hair drug testing labs only detect the metabolite of marijuana, THC-COOH. This is only produced when marijuana directly enters the body (and not through someone’s second hand smoke, which is indirect) and is broken down by the body. The hair test will not pick up contaminants from the outside. So, even if you have been exposed to second hand smoke, if you have not yourself smoked you should be safe with our tests. Thank you to our readers for such great questions and I look forward to more in the future! I’m trying to get a job at a place that does hair tests in May. In november or december when I was drunk I took one hit. will this show up? Unfortunately, I don’t know of any second hand marijuana test. Our tests are designed to exclude second hand smoke. You may want to ask your doctor or another health professional if they are aware of such a thing. Thank you and again, sorry! If you are talking about marijuana, one hit would probably not show up on a hair drug test. That seems highly unlikely. Also, most employers who take hair from the head only go back 90 days anyway. So your use wouldn’t be reflected. If they were taking body hair, which goes back 6 months to a year, drug use from nov/dec would be an issue. But again, if you only took one hit, it is very unlikely it would show up. Will just regular smoking come up in a sports physical ??? I have an NCAA drug test coming up in two days. I smoked one or two hits on New Years Eve, and was in a room about two weeks ago where they were smoking a pretty sizable amount. I figured it wont show up giving my last time i smoked was almost two months ago (which was only two hits) and hot boxing a room doesnt show up. I am just worried due to the fact my scholarship rides on this. Are you positive it doesn’t show up in a drug test? For second hand marijuana smoke to be in the body one must have had constant contact with the smoke exhaled by other users. Usually in a Urine drug test, the Cannabis concentration must be below 120 ng/ml if the person has been in contact with the second hand smoke in less than 1 month and half approx. if the person has been in contact for less than 2 months approx the reading should read anywhere between 20ng/ml – 50ng/ml. The saliva cut off level is below 100 respectively. I was about 10 to 20 feet away from my friends when they where smoking weed and I may have a drug test at any time to determine whether or not I get the job I need. It will be a urine test and I’m just a little worried so just PLEASE help!! Im a Marine based in 29 palms. I was a security guard at cochella fest this year. I worked security in the VIP tent from 9am to 3am. There was a constant flow of people smoking weed inside the tent. I started working on friday and the last day was sunday. I came back, and we had a piss test. I popped with a THC level of 36. Now I am going to court to fight it. Is there any legal or confirmed answer in regards to popping due to second hand smoke in such small quarters and for so many hours in a row? I look forward to your reply. I haven’t smoked in over a year, and I just smoked 3 or 4 hits from a joint, and a have a drug test in 4 days, am I gonna test positive or will I be ok? I keep hearing different things, also I am in good shape, and thin so that’s less of a chance from what I heard. Let me just add that I have inhaled one or two hits from him secondhand smoking when he was in the living room. My husband is a regular smoker and he wants to pass a drug test soon the drug test will be a swab. How long should he wait to pass it?? And if I’m smoking does it effect him when we “make out”?? Thanks!! I took 1 hit the day before the doctors not a test for 6 months then there it was and yes i tested positive for pot. My roommate smokes a ton of it, so it is constantly in the house you tell me. I was in a car with windows down and my friends light up .25 grams of weed. i had my shirt over my nose n mouth till the smoke was cleared. i have a urine drug test in a week. will i test positive? I was around someone that smoked and I went for a drug screen and it came out positive for Marijuana………….this is sum bull crap! I had a urine test at a pain management clinic today and it came back positive for THC. I took a couple hits 5 weeks ago and none at all since April and the only time im around it is when my boyfriend is smoking it in the car.. Im thinking that the amount had to be low because they gave me my meds anyways.. Is it possible to have THC show up in your urine that long after you smoke that little? I am only 110 lbs.. How much do people have in hteir systems naturally? My bf smoke every day and I don’t,(mj), but I do b around him when he smoke! I stoped smoking a mt ago, my test was positive,so am I gonna get clean ever if I smell that nasty second hand mj smoke? I inhaled a little smoke from a bong, but only twice and I didn’t hold it for very long. This was the first time I’ve ever smoked anything and I’m fairly healthy. But I’ve heard that a bong is more potent than a joint. Is this accurate and does the same time line apply in this case or would it take longer to process out of my system? my husband smokes weed everyday morning on my way dropping him off at wk and when he gets hm im around him all the time when he does can thc show up in my system as if im smoking too? I have a strong suspicion tht my Ex is smoking Marijuana around my kids. If I take them to a Dr. To have them tested will there be sufficient evidence to prove they are being exposed to secondhand marijuana smoke. What is the best test to give them? I have a urine test coming tom morning and the last day I smoked was last sunday. I have been drinking alot of water and over this weekend I had some mixed drinks that made me urinate alot. I am worried about passing this test. What are the chances of me failing, and if I continue to drink lots of water will I have more of a chance passing my UA? When I urinate it is clear. I would greatly appreciate some feedback. I smoked 2 maybe three hits barely, a week ago. For the first time in a year- year and a half. I have a job interview in a week. Will it come up positive after two weeks of not smoking? What if I drink a lot of water from now tell the Test? 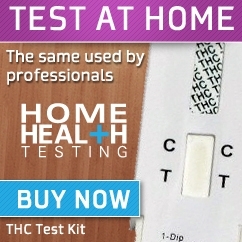 Was and usually around marijuana second hand smoke in a small room but with a ventilation(fan) would I show positive on a urine test? Im living proof you can test positive from second hand smoke! I had to take a drug test yesterday, and I tested positive for THC, and I’ve never smoked a day in my life! I was around it a couple days before my drug test, but didn’t think it would register. Well, it did, and I was denied the position because of second-hand smoke! So I, as well as Dawn, are living proof you can test positive from second hand smoke! Hey! I’m not a smoker, but my parents do. I can tell when they have been because I can smell it almost emedietly every time after they do it. I got a drug test at school, and all of the bars were dark except for the Marajuana one… I’m sure you can sense my panic because I don’t smoke.. Nor have I injested any “special” foods. I passed my drug test because there was still a visible line, but it was very faint. Is it possible that my parents second hand smoke showed up in my tests? even a little bit? I am a medical marijuana smoker recently I got charged with a bogus charge and now am on pre trial services something like probation it has been 40 days since I last smoked. I dropped yesterday and now am being threaten with jail time, I really don’t know how that is even a fact. I weight 156 5’10 and workout every other day. Can you please tell me what’s up with that ? thanx. I was in a room where a buddy was smoking and i had to take a test the next day for my AODA program an they are telling me it came back possitive. Is this true? The intensity of the color of a line on the drug test does not mean anything and should not be interpreted as a measure of the amount of drugs. A faint line on a drug test is still a line, so if you have a faint line in the “T” area of the test then you have a negative drug screen. I was exposed to second hand marijuana smoke today and have a drug test tomorrow. The exposure was in a room where my friends smoked one joint and the door was open and the window was cracked. I haven’t smoked in 6 weeks and have passed a home drug test as well as a lab test a week or so ago. Do I run a risk of failing tomorrow due to my exposure? My father and stepmother smoke around 7-10 joints in the house every day and I fear that I will test positive when I go to MEPS. The smell of it is disgusting and overwhelming and it makes very angry. When they smoke they have the windows closed but the a/c flowing, which pumps all the smell in to my room. Could I test positive from being in this situation? What about someone exhaling into your mouth, essentially transferring the smoke? I’m just curious, because what you exhale and the smoke being produced should be relatively the same, but I wonder if you would be able in intake enough thc for it to show up, even though its prob. enough to get you stoned. Research shows that THC lingers in your system for many weeks and if small additional amounts are added from second hand smoke it could make it take longer for it to fully leave your system. While it is difficult for a non-smoker to test positive from second hand smoke, that is not the case for someone who already has THC stored in their body.